I'm sure that most of us have some foggy memories of going to a family wedding as a child. There was a lot going on, we were in uncomfortable clothes and everyone was really tall. 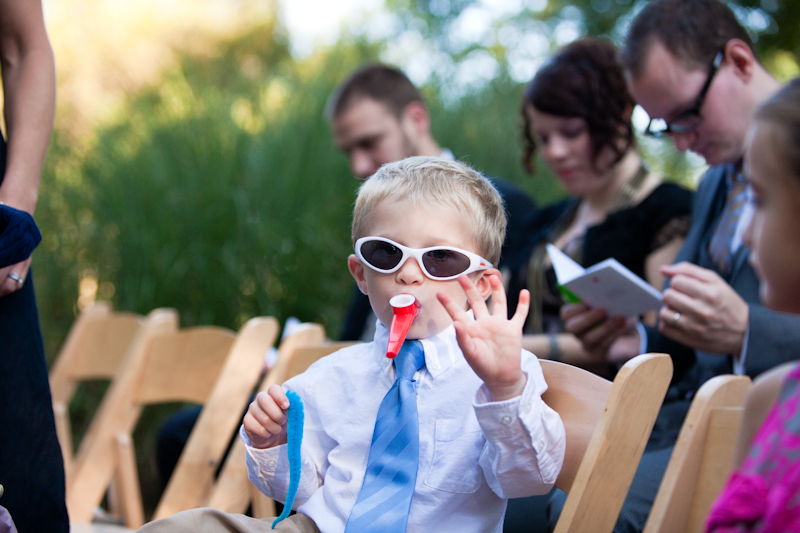 The idea of including kids in a wedding reception has mixed reviews across the board. 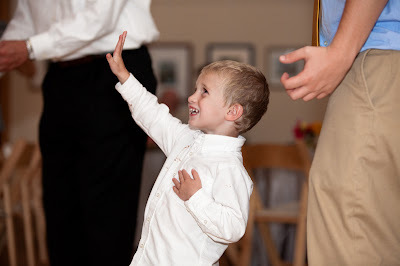 But if you do decide that you want the magic that only children can bring to a wedding, read on for a few tips to make sure that everyone has a great time! #1. Keep kids in mind, always. For the ceremony, make sure there is a clear exit for guests with small children who may not be able to make it through a full sitting-still ceremony. Bonus for supplying a small book or QUIET toy to keep kids occupied. Also confirm that there is a place for parents to take kids out of the reception room too, just in case. #2. Make sure there you provide a kids menu for the cocktail hour and for dinner. We all know that kids can be picky eaters, make sure you talk to the parents and your caterer before the wedding to discuss any allergies and the final kids menu. Parents may bring cereal just in case but if you can minimize what parents have to bring, all the better. #3. Keep kids busy, in a productive way. This post on creative coloring stations is a great solution, just check with your reception site about their policy on crayons or choose the new marker sets that only draw on specific paper. Or you can create your own coloring book just for your big day, like this couple. I always advise clients that the best bet is to give a kids bag filled with age and site appropriate goodies; pocket puzzles, glow sticks, prince/ princess wands, squishy balls and disposable cameras to name a few ideas. #4. Having a ton of kids? Hire a babysitter and book a kids room. This allows the kids to be kids (loud, messy & silly) and allows the parents to have fun at the reception. Make sure to check the credentials for the babysitters as well as having a sign in and out sheet for the parents to keep everyone accountable.